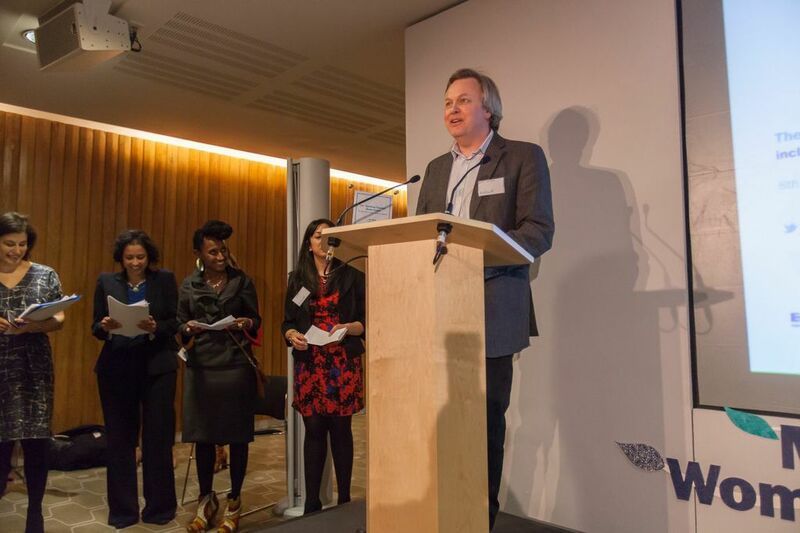 Len Grant (pictured below) writes about his blog, Life Without Papers, which won the online category at the first Speaking Together Media Award. This award was presented on International Women’s Day as part of the Migrant and Refugee Women of the Year Awards at the Royal Festival Hall with Samira Ahmed and Juliet Stevenson. I had imagined ‘Ruth’ with me at the award ceremony, both of us on tenterhooks as the time came to announce the winner of our category. But for her, an undocumented mother of four-year-old Dyanna, the trip down from Manchester would have been too much. Yes, we could have helped with childcare and taken care of her travel expenses, but she was worried how it might look at her part-time (and yet illegal) cleaning job from which she earns just £70 a week. A tenner of this pays her daughter’s school dinners because, of course, Ruth is not on benefits. She’s invisible, under the radar. Ruth and Dyanna are the subjects of one of my stories on the Life Without Papers blog where I photograph and write about the lives of undocumented migrant families and young people. I met Ruth through a small charity that supports asylum seekers. She agreed that I could tell her story and so, for the last six months, I’ve written regular updates about this resilient young woman. And she needs to be resilient: since we met I’ve helped her move ‘home’ twice and she’s about to move again, relying on her friends’ hospitality. The blog is a commission from the Paul Hamlyn Foundation and Unbound Philanthropy, part of a wider project to investigate innovative ways of supporting children and young people with irregular immigration status. Life Without Papers follows on from a successful 12-month blog project about a teenage mother from Manchester’s Moss Side. Throughout most of her turbulent childhood Francis was on the child protection register, but she’s determined her daughter Mia will have a different upbringing. Her First Year tells their story. Unlike case studies or profiles, my blog style is immersive. I am part of the story. I am there on the bus, at the food bank, asking questions and taking pictures on behalf of the readers who wouldn’t have any idea of Ruth’s situation if they were to pass her in the street. The reaction to Ruth’s story, and others like it, has been one of astonishment and anger. How dare we allow a young mum to risk imprisonment each time she goes off to work? How dare we regard ours a compassionate society when destitution is only a few streets away? It’s just one story. For things to change we just need the right people to read it. This entry was posted on 11/03/2013 at 2:09 PM and is filed under Uncategorized. You can subscribe via RSS 2.0 feed to this post's comments. You can comment below, or link to this permanent URL from your own site.